Mr. Thomas Farrington moderates session with speakers, Rev. Blane Newberry, Rev. Adrian Backus, Mr. Jerry George, Rev. Joseph Deck III and Rev. Dr. Henry Davis III. 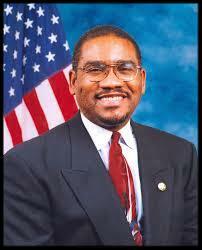 Congressman Gregory Meeks also provides closing remarks.